#403 - Chicken Sandwich Lunch - Wots For Lunch? 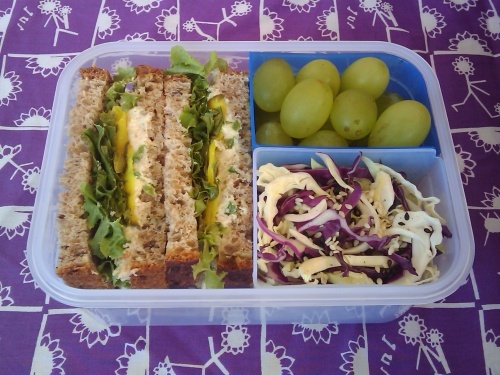 This entry was posted in Packed Lunches and tagged cabbage, chicken, grapes, lettuce, mayonnaise, pickle, sandwich. Bookmark the permalink.